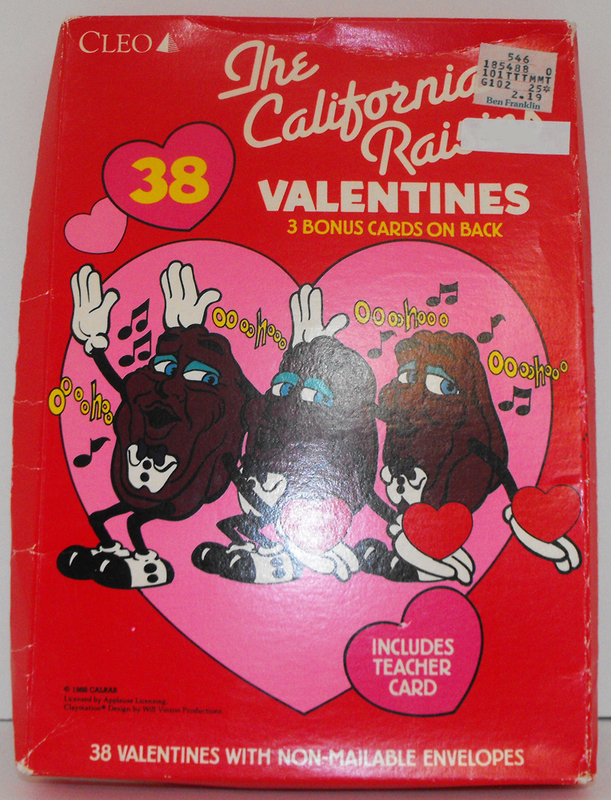 The California Raisins Vintage Valentines. 38 Valentines with non-mailable envelopes. 3 bonus cards on back. New, unused, unopened, the box is on ok/good condition.